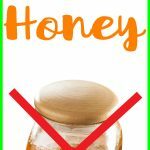 DIY Translucent Powder without Cornstarch - beautymunsta - free natural beauty hacks and more! Is it possible to make a DIY translucent powder without cornstarch? Yes it is! I’ll show you what you need! 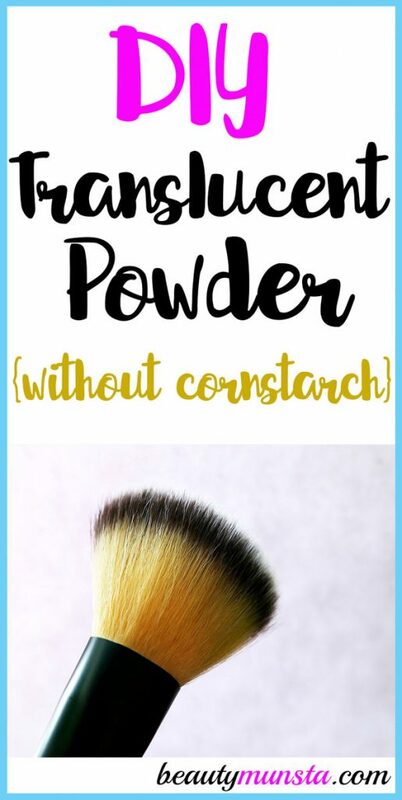 If you search for DIY translucent powder online, you’ll find a number of recipes…all including cornstarch. But what about if you’re allergic to it? Don’t worry there are substitutes you can use instead! And those are bentonite clay and arrow root powder! 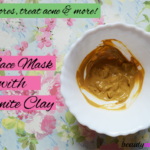 Bentonite clay is a fine grayish white clay that is amazing for skin soothing and detoxification but it can also double up as an ingredient for translucent powder! If you do use bentonite clay, make sure it doesn’t come into contact with any metal because it will render it useless. So you’re going to have to make and store your translucent powder in a glass, wood or plastic container. Arrow root powder, on the other hand, is an ingredient that is used in place of corn starch in many beauty recipes. It’s gluten-free and non-allergenic so the best choice to use for anyone even babies! 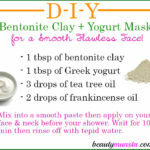 Add ¼ cup of arrow root powder and ¼ cup of bentonite clay into a non-metal bowl. 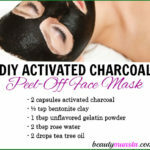 Whisk to combine the two then go ahead and add a suitable amount of cocoa powder according to what matches your skin type. 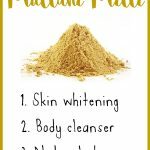 For olive skin, you can add a bit of turmeric powder since your skin is naturally yellow-toned and you want to bring that out. Now you can also add the optional essential oil. Give everything a funnel whisk to evenly distribute all ingredients together. Now carefully transfer the DIY translucent powder into the container by putting a little onto an A-4 paper then funneling that into your storage container. Store the excess in another jar. Dust on your face after applying sunscreen or moisturizer. Try this recipe for DIY translucent powder without cornstarch and come share your results, okay? !